Airbnb se logo. Dié aanlyn besprekingsplatform word al hoe gewilder. Johannesburg mayor Herman Mashaba is overjoyed at US “home-sharing” giant Airbnb’s mission to “democratise capitalism”. The company this week used Johannesburg’s city hall to announce an initiative to increase the use of Airbnb across the continent. It will spend $1m to, among other things, train hosts in selected townships who offer accommodation on the Airbnb app. “This is an initiative that we embrace because tourism is an opportunity for an economic boost,” said Mashaba at the event. The mayor gave his unqualified endorsement of the Airbnb model, which has run into local government opposition in many parts of the world due to its circumvention of regulations on the hospitality industry. “Airbnb is a disruptive business model and we are excited as Johannesburg to partner with them to bring visitors into the city, get our communities involved and ultimately make money out of it,” said Mashaba. Mashaba used the occasion to promote his clean up campaigns. “Safety has been a concern for people who want to visit Johannesburg, however, Cape Town has taken advantage of the opportunities. The city administration this week deployed 1 500 additional police officers and recently launched a monthly cleaning campaign known as “AreSebetseng”, driven by volunteers and reminiscent of Paul Kagame’s monthly cleaning campaign in Rwanda’s capital Kigali. The company’s new $1m commitment to the African continent involves a series of initiatives to help support “inclusive travel through the continent, with South Africa being the focal point,” said Chris Lehane, head of global policy and public affairs for Airbnb. He said the company’s commitments included a programme for small number of townships to train hosts in 2017 and eventually to take the model to the rest of the continent by 2019. 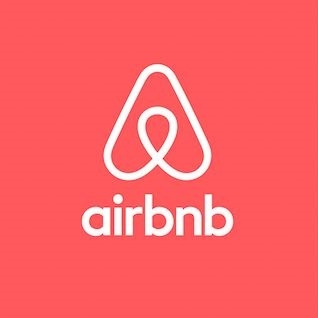 Airbnb will also partner with, among other institutions, the World Bank and the University of Cape Town’s Graduate School of Business to organise an Africa travel summit. Lehane said travel and tourism have increasingly become a bigger part of the global economy and this holds true for South Africa. Travel-related expenditure constitutes over 10% of global GDP, with one in 10 jobs attached to it, he said. Airbnb use by travellers visiting the African continent has escalated enormously in the past year. “In Africa we’ve had over 2 million people arrive using Airbnb over the last five years, but in the last 12 months 1.2 million travelled into the continent using the platform,” he said. People using Airbnb while visiting South Africa in the past year spent around $24m in the country, according to the company. Lehane said that Airbnb sought to “democratise” travel, capitalism and the benefits of tourism. The broad category of “millennials” usually means anyone that came of age in or after 2000, which means anyone under 36 years old. Lehane explained that Airbnb “democratised” capitalism because most of the revenue generated on Airbnb goes to the hosts at grass roots level, who make 97% of the income they list their homes for. This cuts out the owners and operators of hotels and other formal accommodation. “More than 50% of our hosts depend on the money they earn from Airbnb to help address basic economic needs,” claims Lehane. “I love the capitalist system because it allows me to take care of my family first. Business has allowed me to make more money than I can consume,” he said. “With the excess money that I made, I could make a difference in the lives of other people,” said the mayor of the country’s economic heartland. Mashaba has been a trenchant critic of what he dubs “so-called human rights lawyers” – legal NGOs that defend inner city residents against mass evictions. “This initiative can only succeed and touch many lives,” said Mashaba.